good service. right on time never delayed. very professional. no hidden fees. thank you. I had three companies give me estimates and advice on how to eliminate the musty odor in my basement. Two of the companies recommended that the walls and floors and ceilings be washed with a bio-detergent, then washed with something else that would etch the concrete, then they would paint the walls and floor with an epoxy paint to seal it. The cost estimates ranged from $6,000 to almost $9,000! Larry, from Watchman, came and looked over the situation and told me to take two aspirin and call him in a couple of years! He said I don’t have a wet basement and the odor would be taken care of by simply installing a basement rated dehumidifier!!! Cost estimate: $1,700 to $2,600. Long story short, I paid a company $250 to wash the basement walls and floor, had Watchman install a dehumidifier! Three days later the odor was gone and we could use the basement to store seasonal clothing, bedding, etc. I appreciate Larry’s knowledge and his honesty about a solution. He saved me thousands and made the space useable! Great service and professionalism…greatly appreciated! Watchman Waterproofing worked with me to create a cost effective basement waterproofing and drainage system. All of the staff were very polite and helpful throughout the process. The project required some co-ordination with landscapers and arrived on time, and completed the work on schedule to ensure my other project wasn’t impacted. The work Watchman Waterproofing did was finished to a very high standard, it was hard to see where they had dug up the lawn! Overall I was extremely pleased with Watchman Waterproofing and would definitely recommend them. Watchman Waterproofing came through as a respectable and customer driven company. They turned a negative situation into a positive one. Dave the owner went above and beyond as did their amazing employee Pedro who took the time to explain things and make sure the system was working right. Thank you for your hard work! They came to the estimate and explained why I didn’t need the work I thought I needed (which would have been a much bigger job) and that they could fix it with a much simpler, cheaper, but more effective method. At no additional cost they said they would add a drain I could hook my water barrel up to. We scheduled a date I was going to be away but because winter was approaching decided it would have to do. Unfortunately the workers did all the work on the opposite side of my house due to a miscommunication with their foreman. I got home and saw the mistake (it did look great though) so called the next day expecting them to deny they did anything wrong and refuse to fix it… Not the case at all! They quickly got back to me, apologized, and said they would add a second drainage system to the correct side ASAP. Less than 2-weeks later I came home to a perfectly done job (on the correct side). I can’t recommend this company enough, they were a dream to work with from the very first communication to the completion of the job, thank you Watchman Waterproofing!!! Great work, great customer service! Our basement flooded in March 2018 after we lost power and the sump pump failed. Plus, the basement always got damp during heavy rains. Watchman Waterproofing installed a perimeter drainage system including a proper sump pump with battery backup (previous owners had the sump pump in a plastic kitchen trash bin with holes drilled into it). I have not seen ONE damp spot with all the rain we’ve had this Fall, never mind a puddle. Cannot be happier with the job down there! Thank you!! Watchman Waterproofing was exceptionally professional and communicative through the entire process of the installation of our perimeter drain. We are very happy with the work that was completed and the professional workers who did the job. Everyone from Carl who provided us the quote, to the workers, to the office staff are a pleasure to work with. They have a no BS approach and get it done right. I recently had a sump pump installed and a waterproofing job done in my basement. I am very happy with the work done and recommend this company highly. Larry went above and beyond. From the start of the job to the end of the job he was responsive to any questions or concerns I had. His follow up and follow through on the job was much appreciated! Michael, Mark and Sean worked a very long day to complete the job and I can’t thank them enough! This was a job that was made easier for me with all of their help along the way! This was a wonderful company to work with from start to finish! The workers were friendly, polite, professional. They left the basement very clean after the work done. They were reasonable and did the job in the time they said. Did a great job. Dave and his crew installed our system back in February of 2016 so this is a somewhat delayed review, but I felt compelled to write it after the downpours today. Our basement has held up great- no water at all- after being wet during two previous storms before we had the system. We had such faith in their work that we refinished our basement with wall-to-wall carpeting. Today our pump alarms were going off when I returned home. After a quick and panicked call to Dave I then spoke with Doreen… and Seth was at our house within two hours. He addressed some simple issues (an outlet blew out) and everything is working well once again. Would highly recommend this company. These guys did a great job on my basement, and were able to dig around certain structural elements so that I could avoid massive plumbing and reconstruction work when they were finished. Pedro and his team were professional, on time, and tidy. Highly recommend! They helped me to install a Sump-pump system in 3 days. Had water in my basement after very heavy rainfall. Watchman was very honest and didn’t try to sell us on an extravagant fix. They came up with a cost effective solution that has completely solved the issue. Thanks! Watchman Waterproofing did an exceptional job on installing a new sump pump in the basement of my newly renovated 3 family in South Boston. David came out right away to assess the situation, gave me a detailed proposal the next day and had his crew onsite 2 days later. The Watchman crew that installed our system were on time and completely professional. As the President of Synergy Construction Group, I recommend Watchman Waterproofing with the highest regard. I dont know if the work will work because I havent had a water issue yet … but I suspect it will be great!!! Dave was extremely helpful and super nice (and patient). We had some delays in our overall project and he continue to connect with me via phone and check in. The work in the basement was done quickly and neatly. I am so impressed with the Watchman team from Doreen in the office, Dave and the person who did the installation. You will not be disappointed with Watchman!!! Watchman Waterproofing was professional from start to finish- from the quote through the completion of the work. The work crew arrived on time each day and stayed late into the evening the last day in order to complete the job- and save us from another day of construction. Their work was tested during a recent downpour- this was the first storm in 6 months where our basement remained dry. Thanks Watchman Waterproofing!! I would highly recommend Watchman Waterproofing. The basement of my rental property regularly flooded after heavy rains and snow melts. This company did not try to overcharge me (as another one did) or give me more than I needed (as the other one did). The diagnosed the problem, offered the most efficient, minimally intrusive and expensive solution, and then implemented it for a very reasonable price. What more can I ask for? Although, admittedly, my basement floor was dry the day Larry Trainer arrived to evaluate the issues of water seepage onto the cellar floor and consequent dampness that permeated even the air upstairs, I am convinced that he could walk on water. Recommended work was thoroughly explained and then quickly and professionally performed with no disturbance to me. Cellar floor has withstood subsequent heavy rainfalls with no water intrusion. Everyone I interacted with at the company was fully engaged in ensuring prompt customer satisfaction. Larry Trainer could not be more dedicated or responsive to providing a customer with the highest standard of work, and I no longer have a water issue or the worry of flooding in my cellar. Watchman Waterproofing Pembroke Mass. This company was great! Had water in my basement and Larry T designed a system of french drains under the concrete floor, that would lead to a sump pump. His crew Rick, Mark, Shawn,and Joey had a labor intensive project [if you can imagine working in a crawlspace] but completed it in 3 days, leaving a very neat basement. Larry kept in touch and was prompt returning calls! Thank you Watchman Waterproofing , especially Rick,Mark,Shawn,Joey for your hard work! We are very pleased with our experience. Work was done as described in a timely manner and the crew was friendly accommodating and hardworking. This company and the gentleman who performed the work are awesome. Would HIGHLY recommend! 06-01-18 Review By Michael P.
Simply put, best in the business. Thorough, professional and pretty clean considering the work being done. From beginning to end it was first class. Mike was terrific explaining what needed to be done. The crew was very friendly and extremely hard working, yet found time to periodically explain to me the installation. I would highly recommend Watchman to anyone needing a waterproofing solution. Watchman Waterproofing did an outstanding job of installing a sump pump and backup system in our home. They were careful and expert in their work. They cleaned the area post installation very well. The team worked hard and were most friendly and courteous answering all our many questions with patience. Many thanks for a job well done. We have nothing but great things to say about this company from start to finish! Carl came by for a walk through and as first time homebuyers it can be pretty scary hiring anyone. Carl made us feel comfortable in doing what needed to be done without going overboard. He gave us an option for French drains that he believed would solve the problem without spending for lack of a better term.. a boat load of money. He told us from here if this doesn’t solve our water problem we can work on the next best option. They were fast and efficient. I highly recommend this company. We will be using them again in the future! Thank you for your hard work! 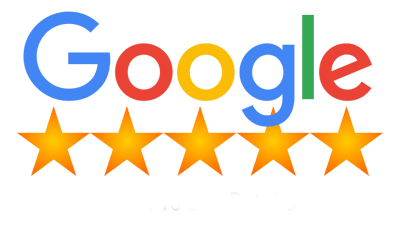 04-28-18 Review by Nancy C.
We would highly recommend watchmen waterproofing for a sump pump install. We had them put one in after the so called noreaster when we got 5″ of rain in 8 hrs and basement flooded. Thank you Pedro , George and Rudi for being not only professional but very pleasant to deal with. Thank you George , Rudi and Pedro from Watchman Weatherproofing for a job well done. After our basement flooded in the last so called noreaster we had them install a sump pump. Very professional and pleasant to deal with. Customer Service was very helpful on the phone and got someone to come out to fix out problem the same day that we called. The technician arrived on time, was very courteous, and very quickly determined that we needed a new sump pump. It was installed promptly and professionally. I would highly recommend Watchman Waterproofing and would use them again. Men arrived on time. They were very courteous and solved my problem right away. Highly recommended. 04-03-18 Review by Chris M.
Just had a sump pump install yesterday, everything was very clean and organized during the whole process! Only issue we had was we thought the out spout would be going out the side of the house and it was out the front of the house, but there may have been an issue that the pipes could not get around. Nothing some landscaping won’t take care of! Awesome install and great company to do business with! Responsive and very professional! Will be using them again for some yard flooding! Awesome company! Very professional, organized and clean. Didn’t even look like they did anything in the basement afterwards. The process was very smooth and pricing was competitive. The warranty was a lot longer than most other places we quoted. Will definitely use them again! We retained Watchman Waterproofing to install a French drain in our basement. We have a large basement and the entire job was completed in four days. They were meticulous in their work and left the basement very clean. The workers were also enjoyable and pleasant to be around. I would not hesitate to recommend this company to anyone that needs a warranty guaranteeing a dry basement. Watchman Waterproofing is among the best of all the contractors we have ever hired! I HIGHLY recommend Watchman Waterproofing! The best money I ever spent! After having my basement flooded out after the March 2 Noreaster I never thought I would have peace of mind again.Ricky and his crew were amazing! I’ve had a lot of different contractors work on my home in the past but this crew was absolutely wonderful! Polite, courteous, friendly and kept me informed of the project. They all introduced themselves to me and restored my faith that there are in fact GREAT people who do GREAT work. What hard professional workers they all were and I felt like I had won the lottery when they showed me the finished basement. I hope they are rewarded and recognized for the excellence they all showed! I’m sure you know what quality people you have working for you and that is what will separate you from the rest. From the start of my project with mike to the finish I couldn’t be happier!!! Great price! This company helps the small home owner and no job is too small. I have already been recommending Watchman Waterproofing to friends and family. You are the BEST and have the BEST workers!!!!! Thank you again everyone!!!!!! Dave the owner was very professional and calm, easy to work with. In minutes he had new sump pump installed. We had trouble finding a company on Cape that would work through the standing water, not Dave. We would hire him again for any other issues and highly recommend Watchman Waterproofing. These guys were extremely professional from our initial meeting in my basement through the completion of the project. Since then, we have had several storms without a drop of water in my basement! Polite, friendly, work was completed as promised, no more water in the basement. I appreciate that although the company could have sold me a more expensive project, they resolved my leaky basement with a much less expensive procedure. The work was neat and the site if installation is close to the bulkhead and not in the way. The pipe that was installed underground is situated out of the way and can’t be seen unless looking for it. Dave Kingsley, you are INCREDIBLE. I’m writing this in the middle of a nasty Nor’easter. We had a sump pump installed in August after a major flood in our finished basement. The alarm sounded so I called the 800 number and Dave picked up right away. He was here within 2 hours, found the problem with the original pump, removed it, and installed a brand new pump in a matter of minutes (despite his arms being completely submerged in water). If Dave shows up at your house, you are in great hands. THANK YOU DAVE!!! Watchman Waterproofing was terrific. We had an appointment scheduled for a quote, but our sump broke the day before, and Watchman got someone to our house that evening to install a new sump. We then had a backup sump and a drain installed plus other waterproofing measures over two days. The guys were all thorough and did great work – Ricky, Pedro, and the others. The office was also very responsive, and communication overall was excellent. I actually have used Watchman Waterproofing twice this year on two homes and their work was quick, clean, in budget and effective. The whole team is very professional and a pleasure to work with. Amazing experience from start to finish. Carl came out to my place quickly to provide an estimate for a drain and sump. Their pricing was reasonable and they didn’t try to upsell me on anything. Work was scheduled to start at 9am and Pedro and Rudy were there at 8:50. They worked like machines. They were polite, clean, and professional. I wouldn’t hesitate to recommend this company to anyone and I would hire them again in an instant. Did excellent job consulting where to install sump pump to stop water flow in basement. Dry basement so far. Love it. The process to have an additional sump and basin installed was quick and efficient. Everyone that I interacted with was great. Brian was very professional and great to work with. Watchmen Waterproofing did an excellent job putting in a new drainage system into my house. They were clean, cordial and remained true to their estimated cost. I’d definitely recommend them for others. Came almost immediately to our house after sump pump system was failing. We have wanted to get a new pump and better system since we moved in because what we had was obviously old and shakey, but at this point it became urgent! We were so relieved that he was able to come and actually do something for us to stabilize us THAT day and book an appointment within 48 hrs to install a new system. Installation crew was timely, fast, polite and didn’t leave any trace behind that they were even there, besides the brand new clean quiet system. Don’t wait to have your system checked out or repaired. It was so hassle-free, I wish we had done it sooner! Very prompt – very nice – very good work. I will go with them if i decide to have a full system installed. They were incredibly responsive. They did not try to oversell me on things I do not need. They were very clean. I was very happy in working with Watchman Waterproofing. I texted back and forth with the co-owner Dave who was very responsive and we quickly scheduled a time for them to come to the house. Bryant and Ricky came to our home and quickly raised one sump pump and raised/replaced another. I’d highly recommend this company. Very professional. Quick response. The crew was very skilled. I had a problem with my garage flooding during heavy rainfall. Watchman installed a drain on the inside of the garage spanning across both garage doors. The drains pitched to the sump pump located at the center of the span and pumped outside through the garage wall and out twenty feet into the yard where the water exits a grate flush with the ground. The crew had the foresight to tie my downspout into the outside evacuation pipe so as to mitigate roof water from entering to the driveway. They were neat and clean- in fact my yard looks untouched as they carefully replaced the sod and my garage looks like it was originally built with this drain system. I am very pleased with the results and professionalism of Watchman Waterproofing and would highly recommend them to solve your waterproofing problem. I got 3 quotes for the work. Watchman was the cheapest (and friendliest). Workers did the job in less time than estimated. I am 110% satisfied.